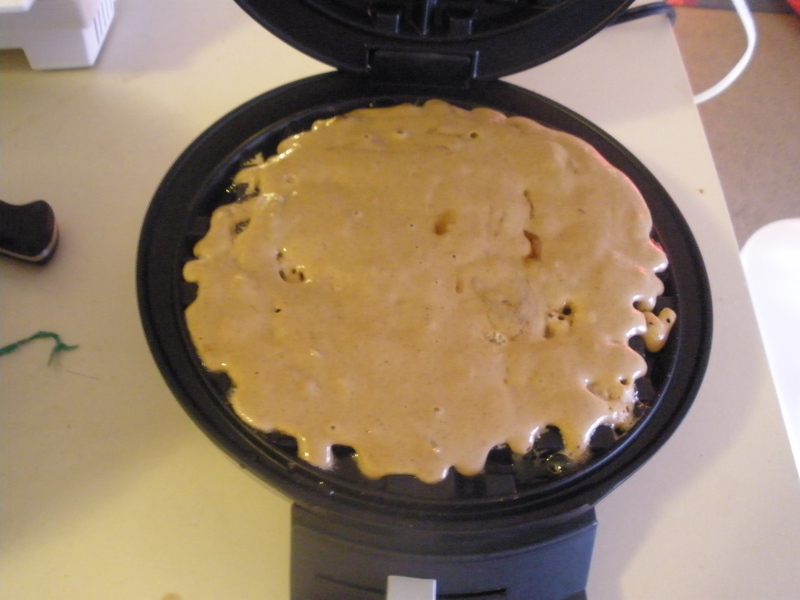 I broke out my new waffle maker last Sunday to make my inaugural batch of waffles. To go with them, I made some Turkish coffee. At a dinner party I ended up with a cup full of Turkish coffee to make at home. I’m not sure if I made it correctly, but I gave it a shot. It tasted pretty good, so I think I did ok! First, the coffee. I used 1 T of the coffee for each cup of water, so 2 T of coffee and 2 cups of water. 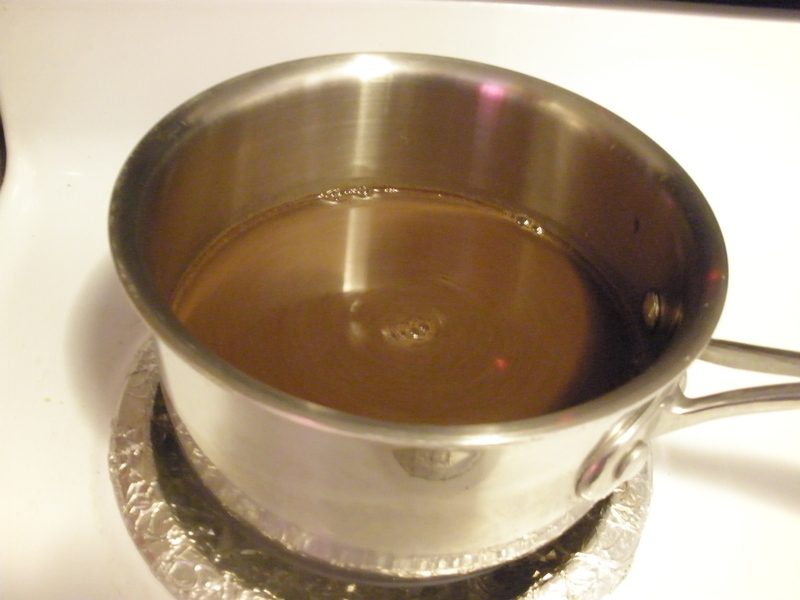 I heated the coffee/water mixture over low heat, eventually bringing to a gentle boil. Once it comes to a boil, turn off the heat and serve the coffee. The sediment will collect at the bottom of the pan. Preheat your waffle iron. 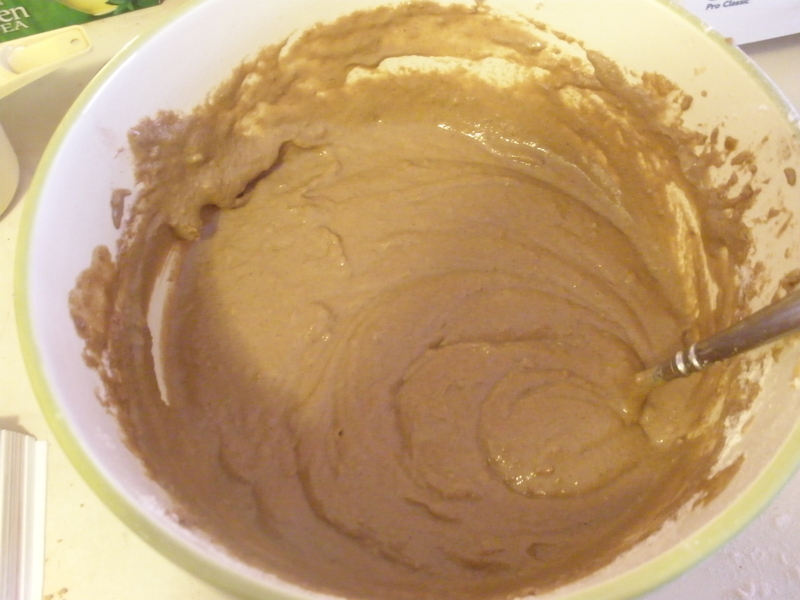 In a large bowl use a fork (I used a whisk) to vigorously mix together milk, vinegar, oil, molasses, brown sugar, and vanilla. Mix until the molasses is mostly dissolved. Mix in the ginger. I made waffles with about 1/2 cup of batter per waffle. 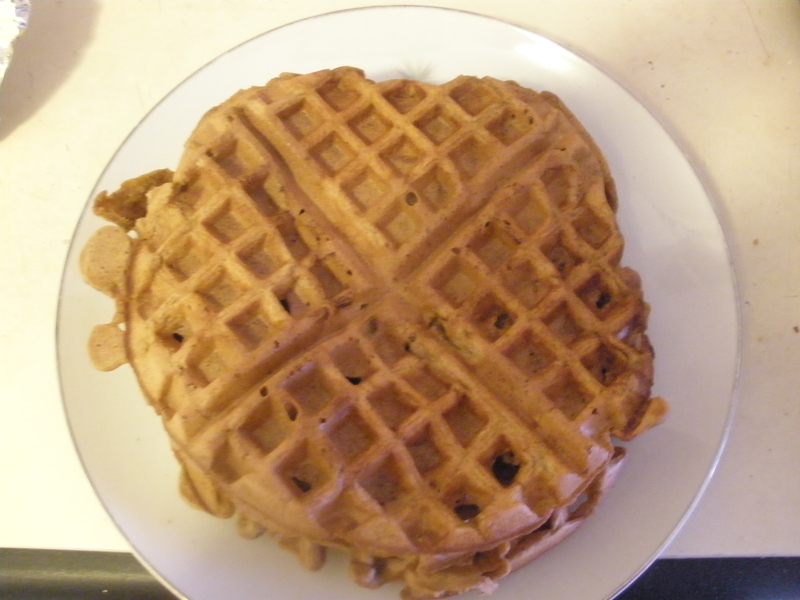 I found that the batter seemed a little thick, so I added some additional water until it seemed thin enough to spread around the waffle iron with a spatula. The recipe says it will make four six-inch waffles, but I ended up with eight or nine. They’re so tasty! I ate them drizzled with some honey.